Who doesn’t love a good binge watch of a classic TV show? 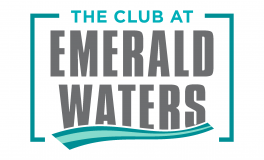 Here at the Club at Emerald Waters, we’ve been reflecting on some of our favorites. If you’ve been wanting to rewatch one of your favorite TV shows, we just gave you the best excuse! Sit back, relax, and stream a classic right in the comfort of your apartment. “The survivors of Oceanic Flight 815 were 1,000 miles off course when they crashed on a lush, mysterious island. Each person possesses a shocking secret, but they've got nothing on the island itself, which harbors a monstrous security system, a series of underground bunkers and a group of violent survivalists hidden in the shadows.” The show that gets a lot of credit for present day “peak TV” is prime to rewatch. Watch along as Jack, Kate, Sawyer and the rest of the crew attempt to figure out the mysteries of the island. “[The Office] features the staff of Dunder-Mifflin, a staff that includes characters based on characters from the British show (and, quite possibly, people you work with in your office). There's Jim, the likable employee who's a bit of an everyman. Jim has a thing for receptionist-turned-sales rep Pam (because office romances are always a good idea). There's also Dwight, the successful co-worker who lacks social skills and common sense.” Join up with Jim, Pam, Michael, Dwight, and the rest of the gang in one of America’s classic comedy TV shows. “George R.R. Martin's best-selling book series "A Song of Ice and Fire" is brought to the screen as HBO sinks its considerable storytelling teeth into the medieval fantasy epic. It's the depiction of two powerful families -- kings and queens, knights and renegades, liars and honest men -- playing a deadly game for control of the Seven Kingdoms of Westeros, and to sit atop the Iron Throne.” What is perhaps the biggest show in the world will end in a few short weeks. Rewatch the whole series, or just your favorite episodes, before the epic finale on May 19th.